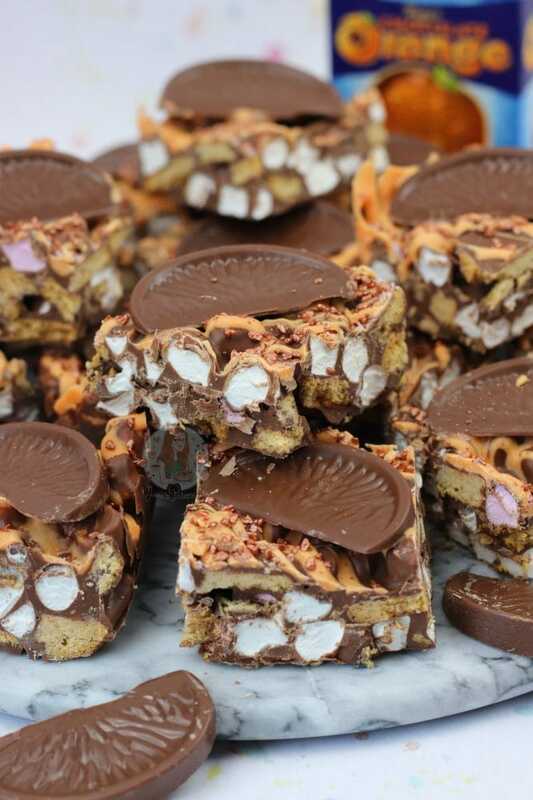 Chocolate, Orange, Biscuits, Marshamallows, Matchmakers and more.. 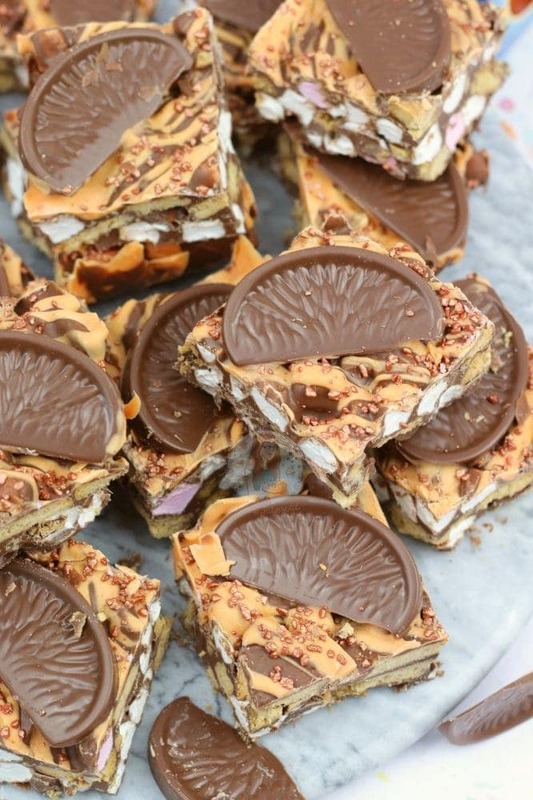 The Perfect Terry’s Chocolate Orange Rocky Road! So Christmas is upon us yet again. It honestly does feel like Christmas 2015 was only about 4 months ago, not a year however. 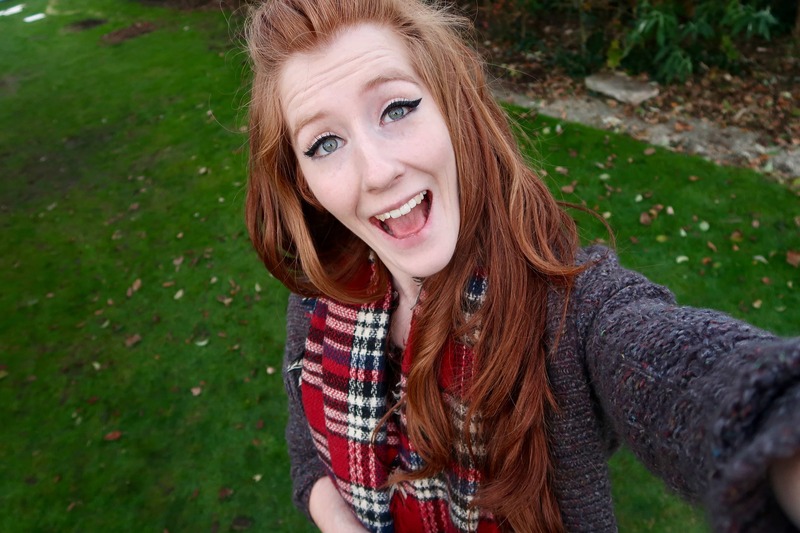 I don’t actually mind that its Christmas Season already, as Christmas is the absolute and utter BEST time of year! The Christmas build up starts on November 1st for me, but I will happily watch a Christmas Film all year round. 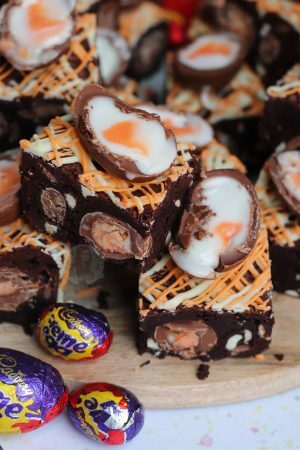 This might explain to those who have questioned my sanity for posting Terry’s Chocolate Orange Recipes year round rather than at Christmas time… its perfectly delicious and edible ALL YEAR ROUND. Anyway, as it is Christmas Time, and Terry’s are Cheaper, and the Dark one is back in stock, I knew a new recipe was needed. And after the success of my other Terry’s Recipes such as my No-Bake Terry’s Chocolate Orange Cheesecake and Terry’s Chocolate Orange Cupcakes, it was obviously going to happen. 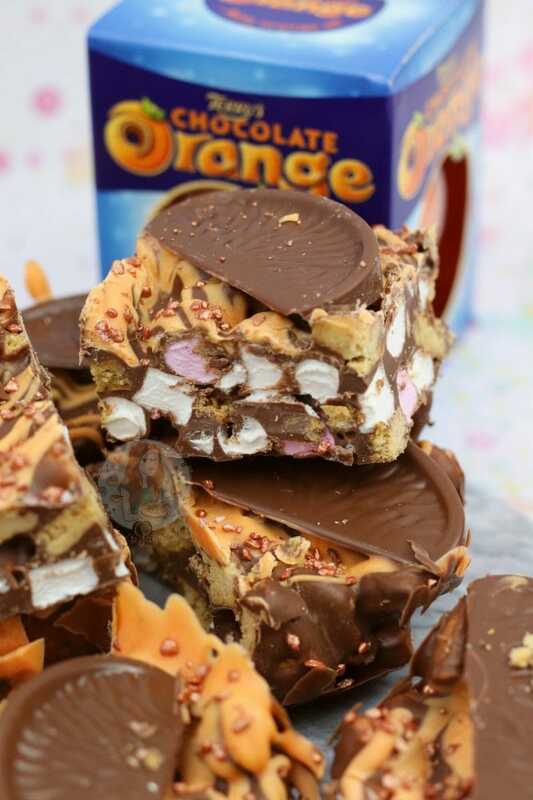 However, I tried using my regular Rocky Road recipe, and well like… I think the Orange Oil in the Terry’s Chocolate Orange is a bit of a curse. Sometimes, it doesn’t matter or affect the ingredients (such as in my No-Bake Terry’s Chocolate Orange Cheesecake) but other times it can change it. For example, quite often it is easy for something with Terry’s in to split eeeever so slightly. 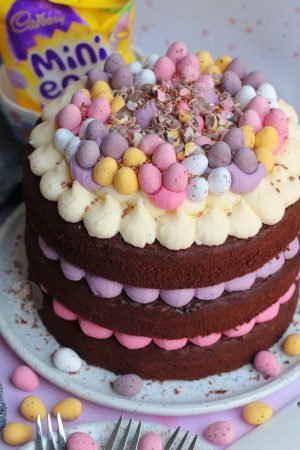 It’s not guaranteed, and often it can work absolutely fine, but even Buttercream can go a little odd with it. So, when I tried my Rocky Road recipe with the Terry’s, it did in fact split a little. I used a low temperature, and over the Double Boiler, so I know it wasn’t anything to do with that. However, either mixing the Golden Syrup with the Terry’s, or the Butter, made it fail. I could be wrong, but its happened before soooo we’ll stick with that! This recipe does just use chocolate, so it is a little harder… but since making this recipe a few times I updated it. The original recipe used some condensed milk as well, to make it slightly softer, but I’ve grown to be not so much of a fan of it. So, it now just uses chocolate. Obviously, I do usually go against this for rocky roads because its solid, and can often hurt my teeth, but this one tastes so good I will happily ignore it. 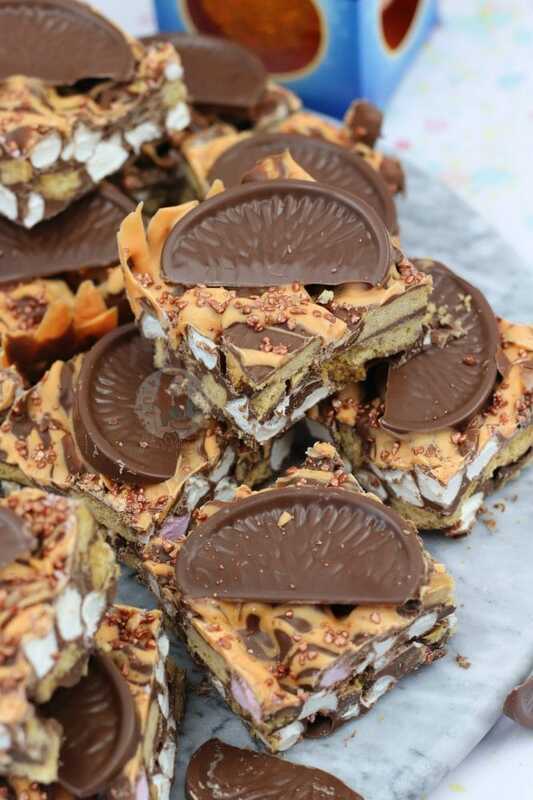 I adore this recipe because I adore Terry’s Chocolate Orange. Anything Terry’s, and I am there. Like seriously, this should be obvious. This will be my Tenth Terry’s recipe on my blog I believe, and I shall not be stopping here. 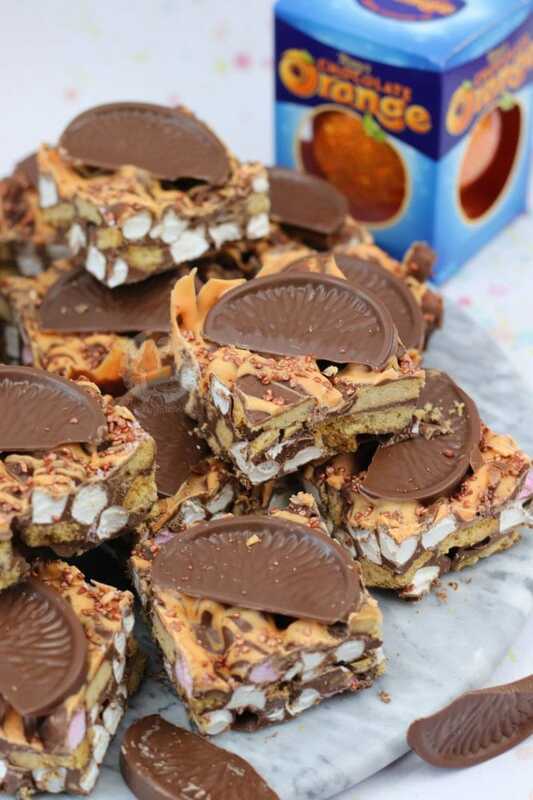 So, BE WARNED, if you don’t like Terry’s Chocolate Orange, you probably won’t like me or this recipe. 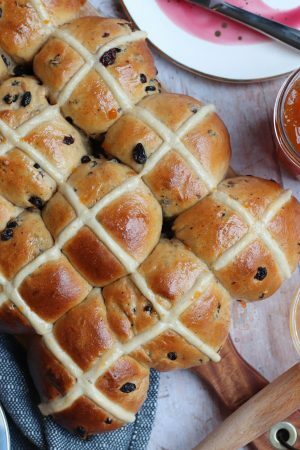 But either way, its the perfect *non*bake for Christmas and year round! Enjoy! 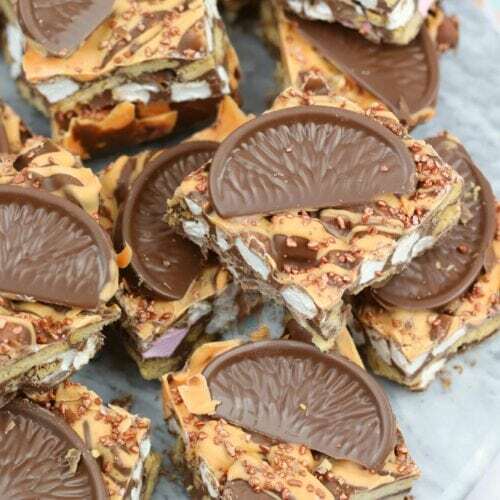 Terry's Chocolate Orange Rocky Road! In a Large bowl, add the Terry’s Chocolate Orange (chopped in to smaller pieces would be easier) and milk chocolate and melt on a low heat over a Double Boiler or in the Microwave on short bursts until fully melted – stir till smooth! 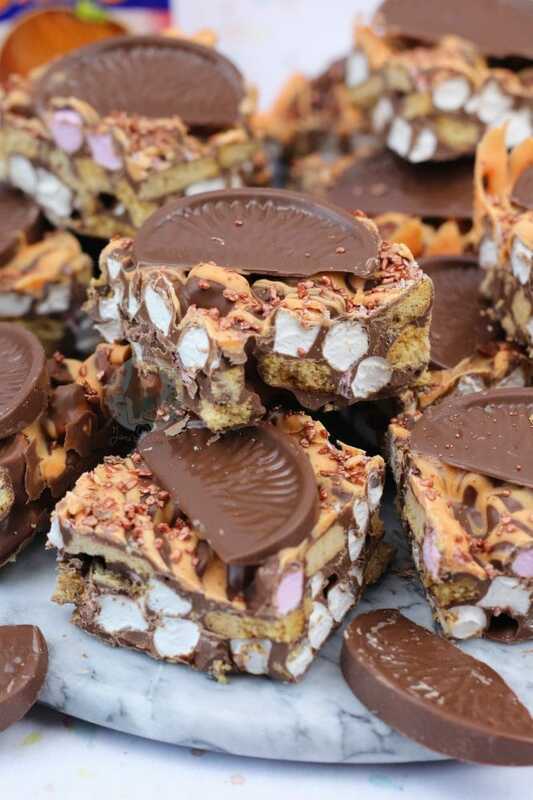 Once its combined, add in the Marshmallows, chopped biscuits, and chopped up Matchmakers and fold together. It might be slightly messy, so use a LARGE bowl! Pour into the tin and spread till its even. Refrigerate until set! It will take about 4-5 hours to be set enough! Once set, melt the White Chocolate carefully in a heatproof bowl in the microwave. 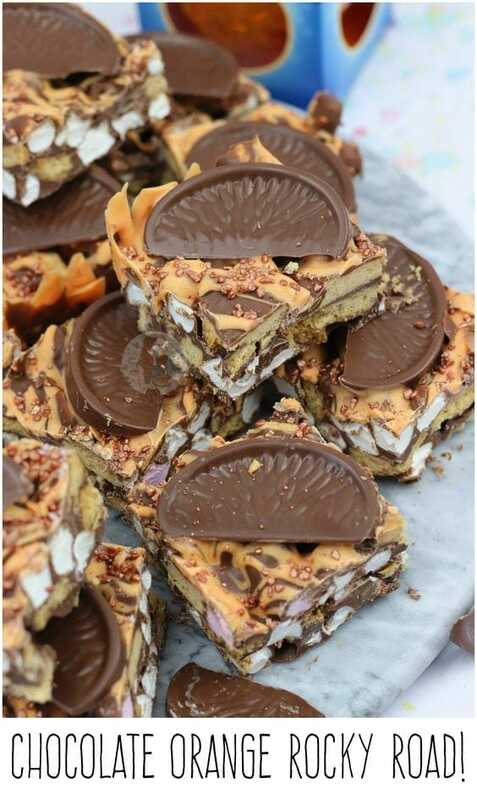 Add in some Orange Food Colouring (I recommend good quality food colours such as SugarFlair or Wilton, supermarket ones don’t tend to work) and drizzle over the Rocky Road! Sprinkle on some Terry's Chocolate Orange segments/Sprinkles and leave to set again in the fridge so the chocolate drizzle hardens! Cut into squares and enjoy! 4×4 will do 16 large squares, 5×5 will do 25 slightly smaller squares, but as its rich its up to you! I use 2x Terry's Chocolate Oranges, and 200g of chocolate to make it up to 500g of chocolate total. You can easily use more or less Terry's if you wish. You can just use milk chocolate for all 500g and add in 2tsps of Orange Extract to make the same flavour, and make it cheaper as well. This recipe should be kept in the fridge in all honestly, unless you live in a place colder than your fridge. It will last for up to about two weeks. The Original recipe ingredients if you want to make it are all the same, apart from the following two. 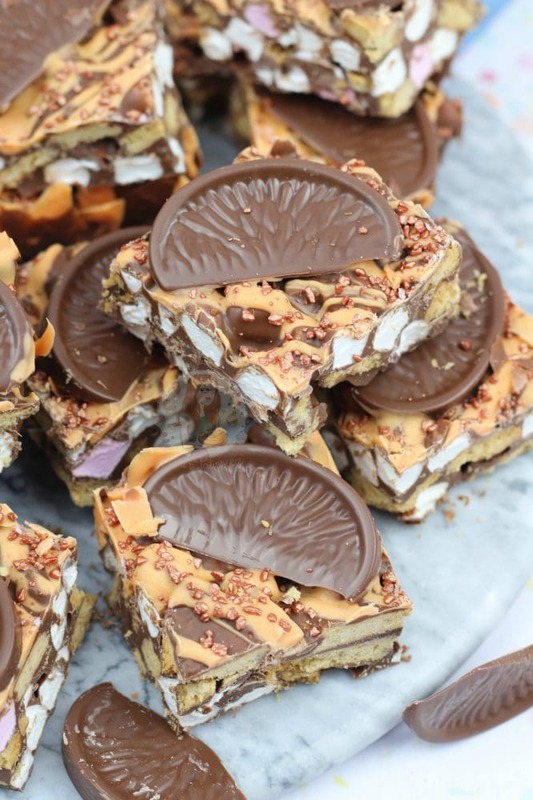 Find my other Rocky Road & Christmas Recipes on my Recipes Page! Older Next post: Christmas Pavlova Wreath! 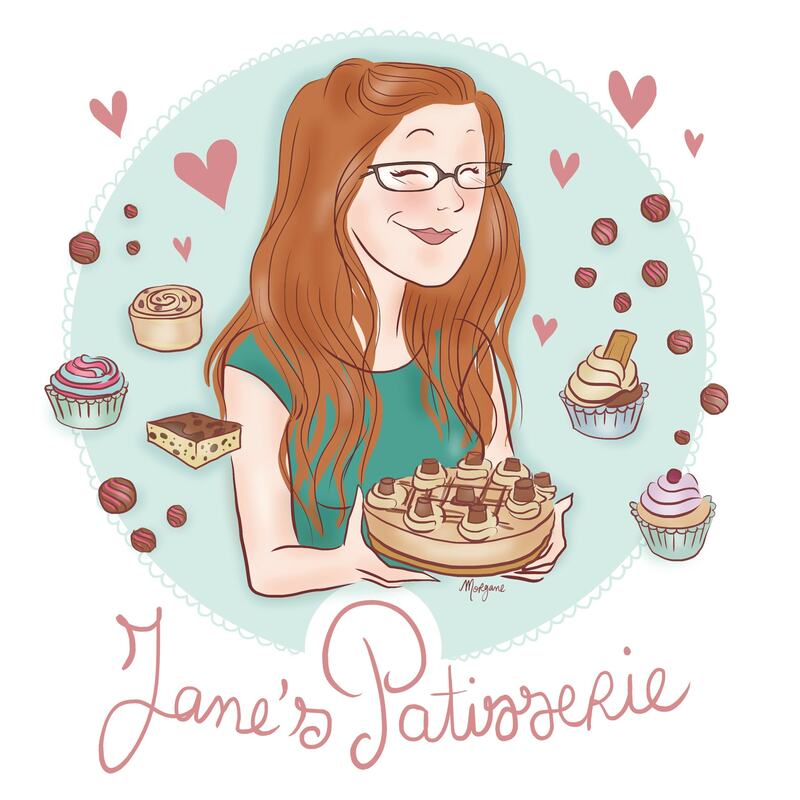 Hi Jane, I was just wondering if you could use a mixture of dark chocolate and milk chocolate orange or if you should just use one or the other? Look delicious, but I have never seen or heard of the matchmakers. Is there anything that can replace this? If you’re in the UK they are sold in all UK supermarkets pretty much… if not, try and find something biscuit like thats chocolate/orange flavoured! Hiya, just to clarify, you say that you used half the amount of condensed milk in this recipe as you use in the fudge recipe (a full 397g tin), so should I use 200g of condensed milk or 350g condensed milk as in the recipe ingredients list? Sorry if I am being a bit thick! Thank you! I am 100% with you on the Terry’s front, I’m obsessed. I try to save it ’til Christmas but it never works! As for the melting issue, I’ve found that with other big brand chocolates too! I always seem to have trouble with Cadbury’s Dairy Milk, usually takes 2-3 attempts before it stops splitting, such a pain. Maybe they make some chocolate a certain way to make it harder to melt smoothly? Or maybe we’re just too impatient! Yeah sometimes it’s how they make the chocolate so that it’s got a shine for example so as they’ve tempered it so we can’t melt it easily again ? it’s like cadburys flakes can’t be melted!! But thank you so much! !